An ambitious project aimed at the virtual reconstruction of the library has been started by the Széchényi National Library (Budapest). 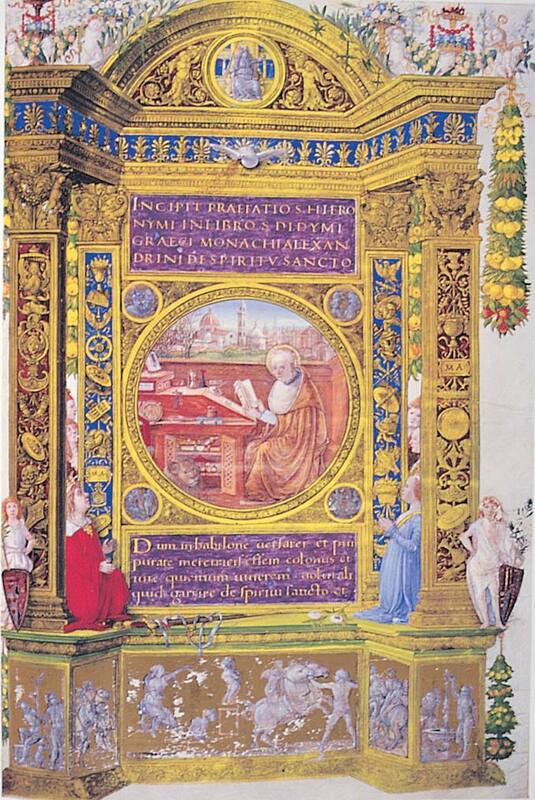 The Digital Corvina Library aims to gather all information and digital facsimiles of all of the surviving volumes from the library of King Matthias. So far the site is only in Hungarian, with some content in Italian, but clicking on "Corvinák" on the menu on the main page will take you to digital facsimiles of a number of manuscripts. The site also includes a number of full-text publications, in PDF format (click on "Tanulmányok" - several of them are in Italian, English or German). Unfortunately, the site apparently has not been updated in several years. 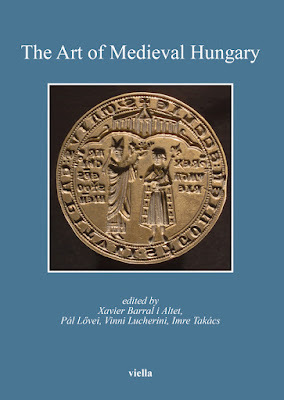 It now includes the digital facsimiles of all 36 Corvinian manuscripts held at the National Library, and also includes a link to the digital edition of Ludovicus Carbo's dialogue on the deeds of King Matthias (Library of the Hungarian Academy of Sciences) - a wonderful and multi-lingual edition. However, the database does not refer to a number of freely available digital facsimiles of Corvinian manuscripts. Of these, first the volumes held in German libraries must be mentioned. All 9 Corvinian manuscripts held at the Herzog August Library in Wolfenbüttel have been digitised. Similarly, 8 volumes at the Bayerische Staatsbibliothek in Munich are available online. There are also two volumes in Dresden, both in need of restoration, and therefore not fully digitized (see this PDF brochure). Some volumes in American collections are also available online, such as the Yale Tacitus (Tacitus: Annalium libri XI-XVII; New Haven, Yale University, Beinecke Rare Book and Manuscript Library, Ms 145). Another beautiful manuscript which can be studied online is the beautiful Missal of King Matthias at the Royal Library Albert I in Brussels. The library also provides some literature on the manuscript. Hopefully, the BCD project will continue in the near future. The British Library has also digitized a folio (f 28) of the Harley MS 4868, and two folios (ff 2v and 3) of the Landsdowne MS 836. If anyone is aware of any other fully digitised manuscripts, please let me know. I updated the post with a link to the digitized version of the Brussels Missal of King Matthias.